Close your eyes and imagine a clear blue lake so vast that it looks like an ocean, a hilltop of trees dripping with clusters of ruby red jewels, and a food that’s tart to the taste buds yet impossibly addictive, versatile, and exploding with great nutrition. 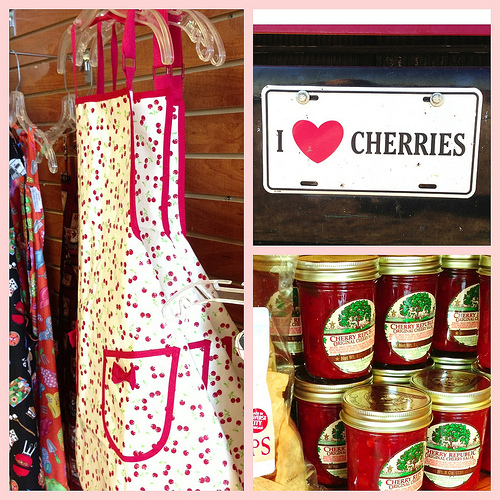 Welcome to Traverse City, Michigan, the Cherry Capital of the world. Well, make that the Tart Cherry Capital. 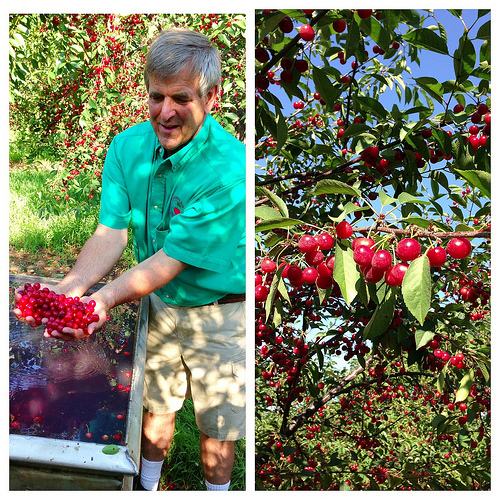 I was invited by The Cherry Marketing Institute to attend an educational cherry harvest event in Northern Michigan. I was compensated with travel and lodging expenses; all comments and opinions are my own. Tart cherry harvest + the nutritional benefits of cherries revealed! Harvest season takes place in July and early August and lasts about four weeks. 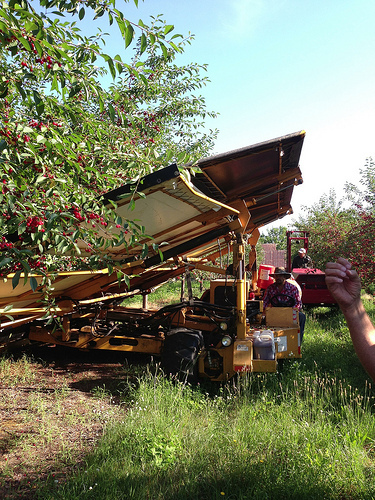 This piece of machinery literally shakes the cherries off the trees, and during the harvest, trees are shaken 24/7. 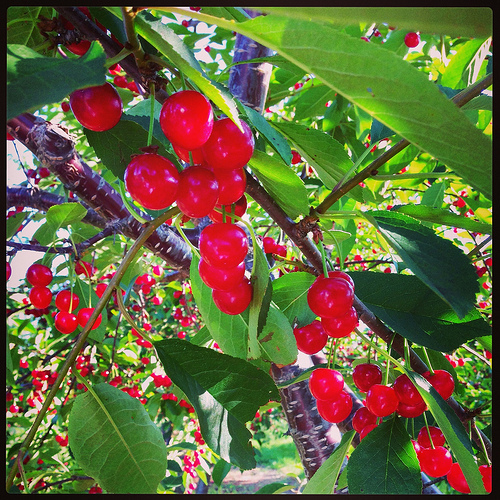 At Cherry Bay Orchards, 40 million pounds of cherries are shaken off trees each year, and most are the tart Montmorency variety. 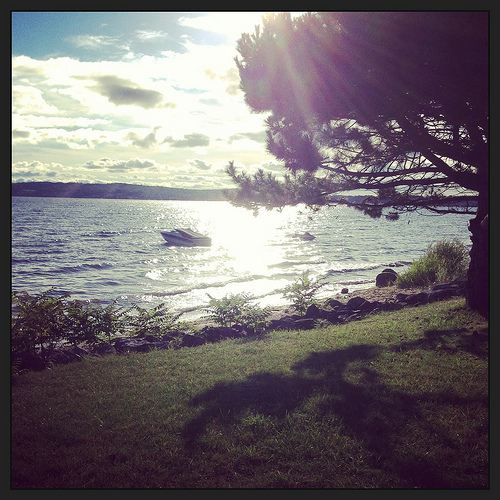 For a 15-second video of shaking, check out my Instagram page. The fragile fruit is quickly submerged into water baths to cool them down and cushion their short journey to the nearby processing facility. 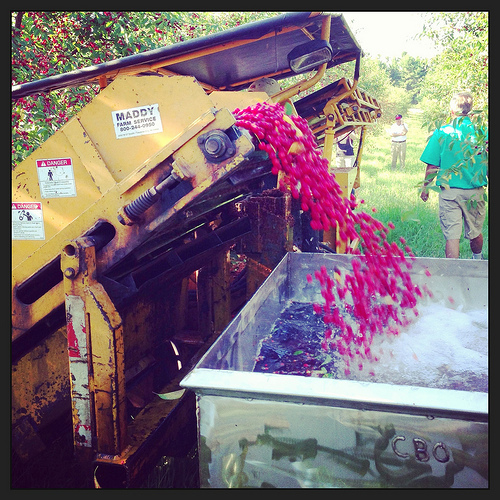 Believe it or not, this container holds 1,000 pounds of cherries plus 1,000 pounds of water! Did I mention that cherry juice is a natural addition at cocktail hour? 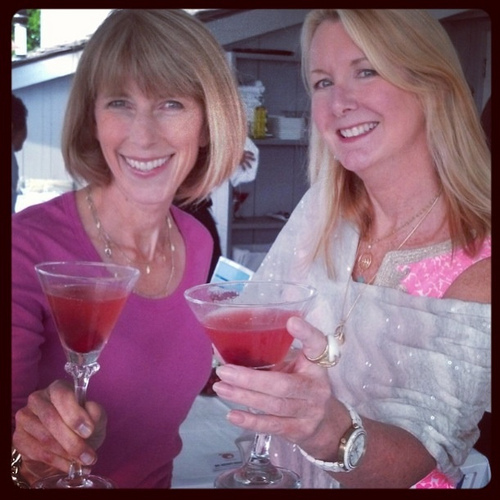 Here I am at the Boathouse Restaurant with friend and fellow dietitian, Carolyn O’Neil. Eating tart cherries right off the tree was a treat … and no, I did not partake in a pit spitting competition. 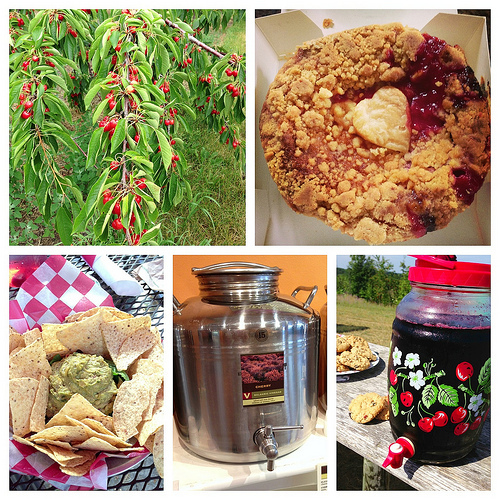 Pictured above: tart cherries, cherry crumb pie from Grand Traverse Pie Company, cherry guacamole at Cherry Republic in Glen Arbor, cherry balsamic vinegar at Fustini’s, and snack time at the orchard. > Half a cup of dried cherries has nearly 50% vitamin A, and they’re also a good source of potassium and fiber. 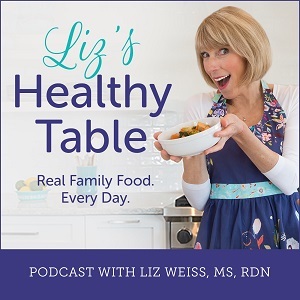 > The antioxidant compounds found in bright red tart cherries are called anthocyanins, which reduce inflammation in the body. Those anti-inflammatory properties “cool the fire” of pain and inflammation in muscles and joints. > Tart cherries are good for heart health. 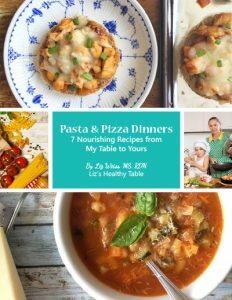 Research shows they help to lower cholesterol and reduce inflammation. > Eating cherries may reduce the risk of a gout attack by up to 35%. Over eight million Americans have gout, so adding tart cherries to the diet could offer some welcome relief. > Looking for a better night’s sleep? Drinking tart cherry juice (8 ounces in the morning and 8 ounces at night) may reduce insomnia and help people get more Zzzzzzs. 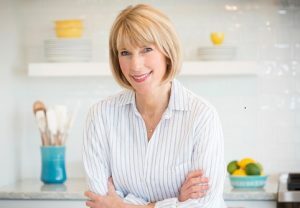 If you want to see more amazing photos of tart cherries check out the blog post by my RD colleague, Regan Miller Jones, at Healthy Aperture blog. 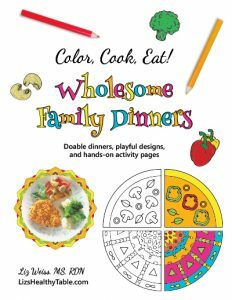 > Family Fresh Cooking: Very Cherry!